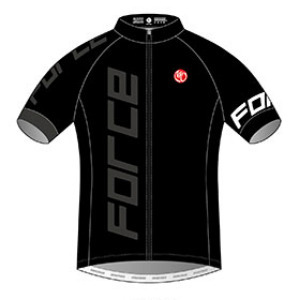 Force Multisport Coaching was created by two coaches whose passion for running, cycling and triathlon brought them together to create a one-on-one coaching program to meet YOUR running, cycling and/or triathlon goals. FMC coaches will create an individualized program and help guide you to YOUR finish line whether you're an Elite, Junior or Newbie to the sport. The FMC approach includes everything you need for an enjoyable, affordable and complete training plan. Eric has been coaching since 2005 and has coached over 20 athletes, many of which are still with him today. Eric has worked with all levels of abilities and has guided all of these athletes to first time finishes, to podium finishes, to 70.3 World Championships and to Ironman World Championships. Eric has been actively racing for over 15 years. His love for coaching comes from working in the fitness industry for over 25 years combined with a passion for sports. Eric believes that hard work, consistency and discipline are key drivers for success but strongly encourages life balance above everything. Like most athletes, Dana started out in endurance sports. As he progressed as a competitor, he became enamored with the science behind the sport. Achieving maximum performance, both from himself and others, became his passion. In his journey as a competitor and coach, he has learned not only what it takes to be successful in triathlon, but also the importance of having a solid life balance. Dana’s approach as a coach is to create specialized plans for individual athletes to maximize their abilities and best utilize the time they can dedicate to training. He believes there are no gimmicks or hidden training secrets to a successful race, it is simply the result of proper preparation, hard work and the right attitude. Success. Coach Force Multisport has been notified of your message.